For Christmas each of my kids received new books. My youngest loves the Elephant and Piggie books written by Mo Willems. Mo Willems books are easy to read, funny, and help young readers hone their reading skills and cultivate a love for stories. The books are great for readers at first through third grade reading levels. Each book includes incredibly fun artwork, and at the end of each story there is a hidden pigeon character that the kids always love to try to find. Waiting is not Easy! is a story that discusses patience and how hard it can be to wait for something you really, really want. It really helps children understand the importance of waiting while showing that although it is not easy, sometimes it can be worth it. These make excellent gifts. My youngest son received a collection of 5 Elephant and Piggie books for Christmas and this one was one of his favorites. The book is a short read, perfect for early readers, and in many schools can count towards independent or AR reading work. 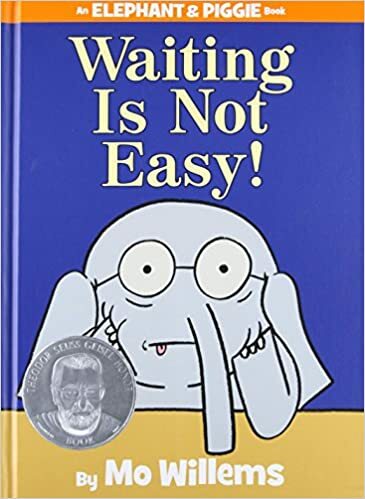 Be sure to check out Mo Willems’ other amazing books from the Elephant and Piggie series. This entry was posted in reading and tagged best books, Books, boy books, childrens books, early readers, early reading, elephant and piggie, kids books, love of reading, love to read, Mo Willems, readers, the boys store, youth books on January 1, 2019 by Lacy. We are a few days late, but we wanted to wish Harry Potter a very happy birthday. What better way to wish him a better birthday than to talk up those amazing books that follow him on his incredible adventure with his two best friends Ron and Hermione? I discovered the Harry Potter books when I was a teenager. When I was a senior in high school, I thought, these books were for kids. I was so wrong. 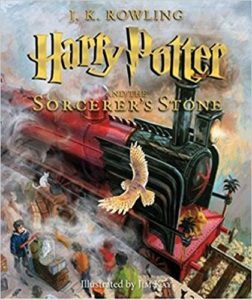 A friend of my mother’s bought me the Harry Potter and the Sorcerer’s Stone for Christmas. She knew I loved to read and had heard the books were really popular. I smiled graciously and accepted the sweet gift. Little did I know that she had just purchased me a book that would truly make me feel every emotion, and take me on an adventure that lasted nearly 20 years for me. Now as a mom of a new reader I take great joy in sharing my Harry Potter collection. However, I want my kids to have something of their own. 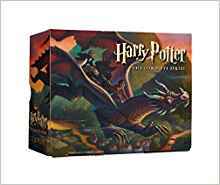 I have begun purchasing the illustrated editions for my younger kiddos, but older kiddos will love this boxed set as well. Both sets are beautiful and will take you on an amazing adventure from beginning to end. We promise! This entry was posted in General, reading and tagged best books, book series, Books, boxed set, boy books, harry potter, harry potter birthday, kids books, learning to read, love of reading, Reading, teen books, the boys store on August 1, 2018 by Lacy. The magic of books is that many can stand the test of time. A Wrinkle In Time is one of those books. It may have been written over 50 years ago, but its magic, its beauty, and its tale of fitting in never stops being important. Meg Murry and her younger brother Charles Wallace are trying to fit in. The whole town is talking about them, and believes that their father is a loser scientist that has left them, their siblings, and their brilliant scientist mother without any word or hope to ever see him again. But Meg Murray and Charles Wallace do not believe it. They have made one new friend, Calvin O’Keefe, and together the three of them are going to have the most amazing adventure ever. When a strange neighbor, Mrs. Whatsit, comes to them and asks for their help they discover a whole new strange and magical world. They also just might find Meg’s Dad isn’t such loser scientist after all. A Wrinkle In Time was the 1963 Newbury Medal Winner, and time has only made this story better. There is a movie in production, to be released early 2018, starring Reese Witherspoon, Oprah Winfrey, and Chris Pine. With the movie coming out soon it is the perfect time to introduce a new generation to the amazing stories by Madeleine L’Engle. Check out the book now and be ready to see it come to life on the big screen next year. 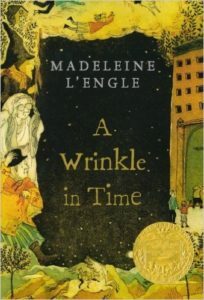 This entry was posted in reading and tagged A Wrinkle in time, Books, boys books, children books, classics, kids books, madeleine Lengle, newbury medal winner, Reading, the boys store on September 1, 2017 by Lacy.